Most people who are served with a family violence intervention order don't know what they should do or the potential consequences of their actions. We're here to help. Should you agree to the order? Should you fight the order? Should you try to have the conditions changed? These decisions are critical - and the right approach depends very much on your personal situation. The consequences of making the wrong decision can also be very serious, especially if you are separating from your partner and involved in a family law dispute about the children and their living arrangements. It's our job to help you assess your options and determine the best approach for your personal situation. A family violence intervention order (also known as an IVO or AVO) protects a person from a family member who has committed family violence. Family violence is behaviour between family members that causes fear. It includes emotional and financial abuse, as well as physical violence and sexual abuse. a final order – a longer-term order made if a Magistrate believes a person or persons needs protecting from any further family violence. The Magistrate will listen to evidence about the order at a hearing. If you want to change any of the conditions or defend the order, you need a lawyer to represent you. The first step is to attend a confidential meeting with a lawyer from our Family Law team, led by partner, St John Heath. Clearly explain the options available to you and the consequences of choosing each one. Discuss the recommended approach for you. The first meeting will cost $390 (including GST) and usually takes about an hour and a half. Sometimes, this meeting is all you need in terms of legal advice. In other situations (for example if you decide to defend the order in court) there will be further legal costs involved. Based on the information gathered at our first meeting, we will prepare a cost-estimate which clearly explains the anticipated costs of appointing us to proceed with the recommended approach. You will need to pay some of this money in advance. This cost-estimate is based on many years of experience undertaking this type of work. We pride ourselves on working as quickly and as efficiently as possible to keep your costs to a minimum. However, we do not cut corners. Our focus is on getting the best result we can for you. Once you are happy to retain us, we proceed with the agreed approach and work with you to achieve the best possible outcome. 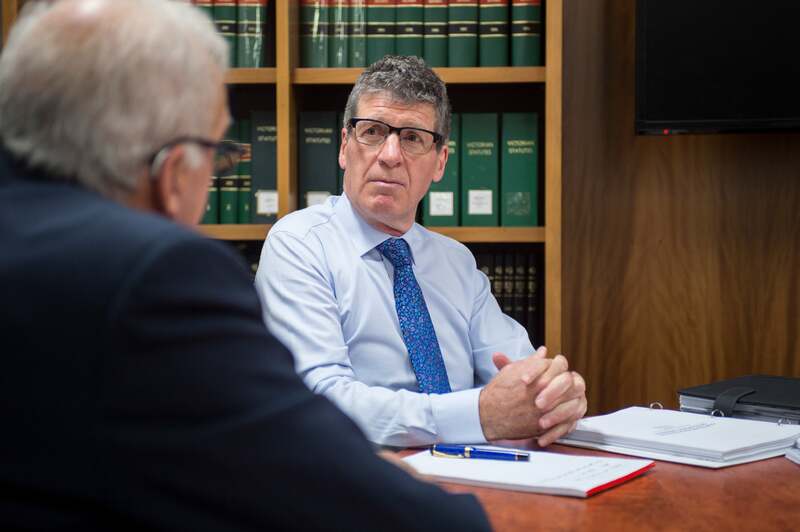 This may include gathering evidence, engaging a Barrister and representing you at the Magistrate's Court hearing and any subsequent Court appearances.